Bros who know how to start the chenese client without launcher? Anyone Know how to edit config.dat to 127.0.0.1 ? I Do not Know About Myself ! 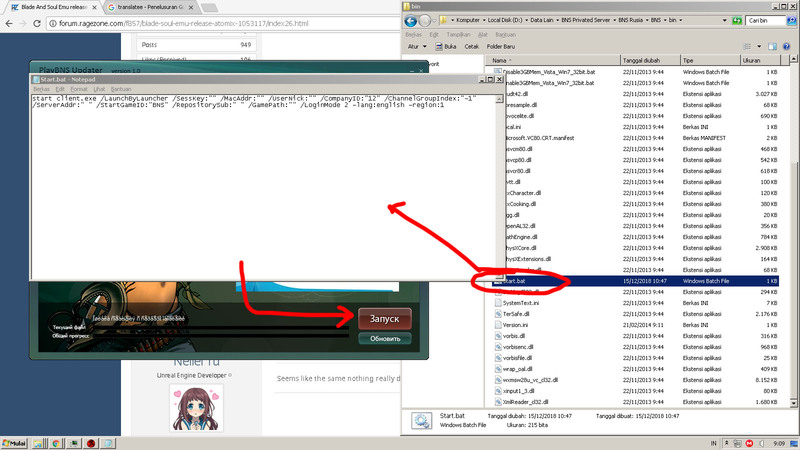 I don't know why config.dat can't be decompiled, I use BnS_DatEditor.exe and BNSBuddy. Yep. We only need a BNS Client Before CBT 2. That seems to work very well for this server.It seems that there must be someone who can fix the packet to be able to log into the world. Very Impossible if someone shares it with us. inside the released file, has tools for unpack and repack config files. I dont know why is work ? Im not wizard i just run with batch file..
i'm sure there's a tool inside the package. There i cant find tool.